We’re here to take care of those who take care of everyone else, and we’re driven to offer nurses and CNAs healthcare’s best working experience. No more playing phone tag to pick up per diem shifts. Pick the shifts that you want to work and you are ready to go! No need to travel far. Specify the type of shifts you want and we’ll send you alerts based on your availability, interests, location and other preferences. 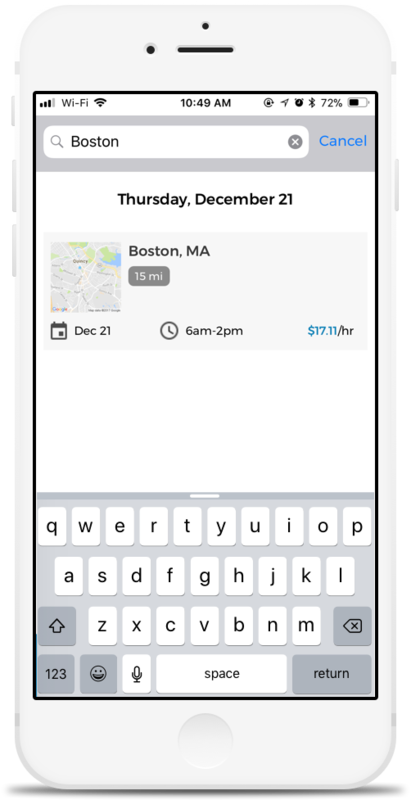 A mobile app makes it easier than ever to pick up per diem shifts. Ours is designed to provide nurses and CNAs with a simple and seamless experience. Our rating system puts you in charge. We’re a nurse-centric business, so your experience means everything to us. We designed IntelyCare to give you the power to shape how and where you work. We want you to love working for us. After every shift, your app will ask you to rate the experience. Love the employer? Great. We’ll keep sending you opportunities to work there. Not a fan? No worries.